This Amazing Viking War Horn Coffee Thermos Mug is sure to turn heads everywhere you go, designed specifically to look like a War Horn yet having the modern beauty to it which suits well on any dress you are wearing. It's already our #1 Bestselling product worldwide & people are going absolutely crazy over this amazing piece of accessory. It holds a typical 12 Oz coffee cup insulating it & looking cool at the same time. Do you still use the same old coffee cups which get mixed up at offices, well not anymore. Get this awesome Thermos mug today & change the way you drink your coffee. Comes with 2 straps one long & one short which allows you to wear this Thermos Mug as a crossbody accessory or just hang it to you bag while you travel. Special Rubber cap to provide protection against spilling, move it, shake it play with it & not one drop will fall out of the Mug, it's a guarantee. 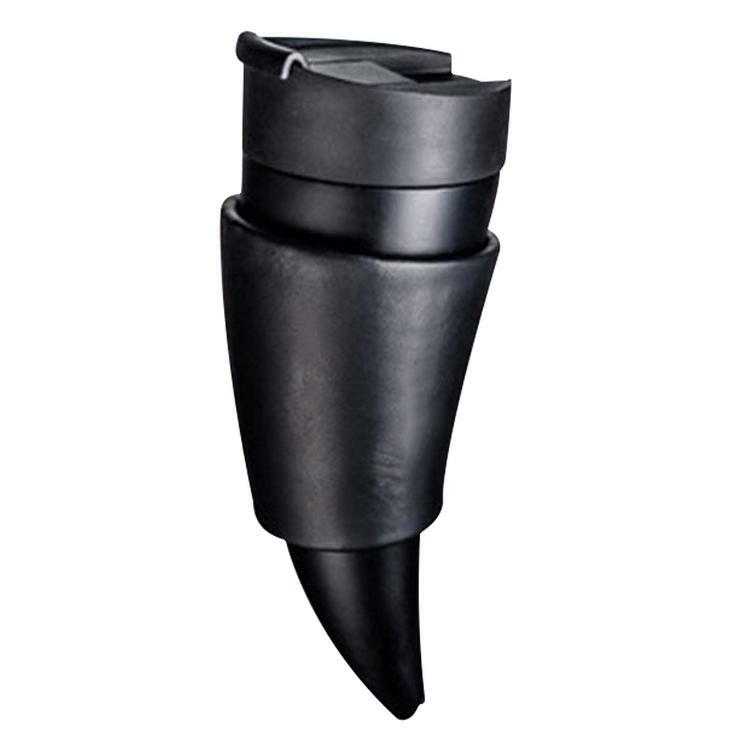 Comes with special anti heat anti slip pads covered beautifully over the horn body which can be removed to make various holding positions like shown above.